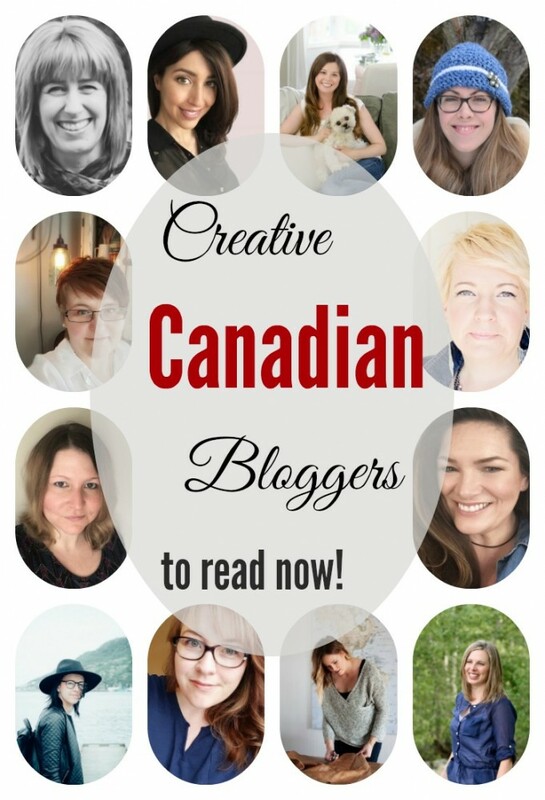 Creative Canadian Bloggers to Read Now! I’m honoured (and a tad nervous, if I’m honest) to be speaking at the Yes Women Can! Au feminin pluriel conference this weekend in Vankleek Hill, Ontario. Yes Women Can! is a day-long event and trade show celebrating female entrepreneurs, creatives, performers… and all-round fabulous people. Organized by a firecracker group of can-doers from the small town of Vankleek Hill, the day will feature speakers, presentations, workshops, exhibits, and more. I cannot wait to share my adventures – and misadventures – in DIY and handmade living! As I was preparing my talk for the conference, I was struck by the idea to interview some of my fellow Canadian bloggers (and ladybosses!) for Flourish & Knot. We just don’t celebrate the amazing woman-power here in Canadian blogland enough! But that ends here and now. Here’s my list of 11 Canadian (female!) bloggers to read now! What type of content or projects are you passionate about sharing on your blog? What encouragement or advice would you give to other female creatives (professional or amateur)? What do you love most about blogging/creative entrepreneurship? “I absolutely love the freedom it allows. I have always been a creative individual and I feel extremely lucky to have found an outlet to express that creativity, which also always me the flexibility to stay at home to raise our daughter. My days are split between enjoying the simple pleasures of watching our two-year-old daughter experience the world around her, and creating and designing. I have been able to enjoy the benefits of being a stay at home mom, while also building upon and expanding my knowledge of both the interior design world and growing my own brand. If you could add one DIY or entrepreneurial skill to your “toolbox”, what would it be? What is the most challenging thing about being a female blogger/creative entrepreneur? See why I love blogging?? I get to hang out in blogland with these talented women! This list could have gone on and on (there is no lack of inspiration within our Canadian – and wider – female blogging community), and I hope that you will take it as a call to discover some new creatives, and to explore your own abilities and talents. There was a common thread throughout the interviews, and that was taking chances and being open to new learning opportunities. I was blown away by what these women had to say on blogging, DIY, family, and entrepreneurship. Every one of them is in a totally different place in their blogging and business journey, but we all stand to gain so much from each other’s influence and experience – if we continue to support and learn from each other! Painted Geometric DIY Flower Pots | There for the Making: Earth Day! Wow Sarah, this is so amazing, thank you so much for including me with these phenominal and talented women, they inspire me every single day! It was truly my pleasure, Laurie! Wow! These ladies blow me away. Thank you so much for putting this together and for including me. It was so fun to read! It was so much fun to read all of your perspectives on blogging and creativity! Thank you for being a part of it. My goodness this was a great read! Thanks for putting this all together!! This is a great look at a wonderfully talented group! This was such a great read, I loved going through all the responses. Thank you for sharing and also for including me! So much talent, if I weren’t so far away I would stop by! Enjoy! !